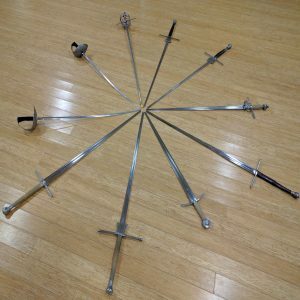 Absetzen (Parry by Thrust) at WMAW – Part 1: Tea Kew: Tea Kew explains how to perform absetzen. Video and article. Slow Sparring: The benefits and challenges of sparring slowly, without protective equipment. How to be an Awesome Drill Partner: How to help each other learn more effectively from technique drills. Martial Control in HEMA: The importance of controlling both blade and body in HEMA.